Coker Business Systems is a leading provider of Kyocera products including printers, copiers, and fax machines. We also provide managed print services as well as maintenance and service for all of the equipment we sell. One of the largest Kyocera dealerships in South Carolina, we have been recognized by Kyocera as Total Document and Service Solutions Providers-- the first corporation in South Carolina to receive the prestigious awards. Coker Business Systems was founded in 1987 and has served customers from its original Turbeville, SC location for over 30 years. While we have expanded our sales and service territory to include coastal South Carolina, we continue providing only the highest level of customer service to our many clients. 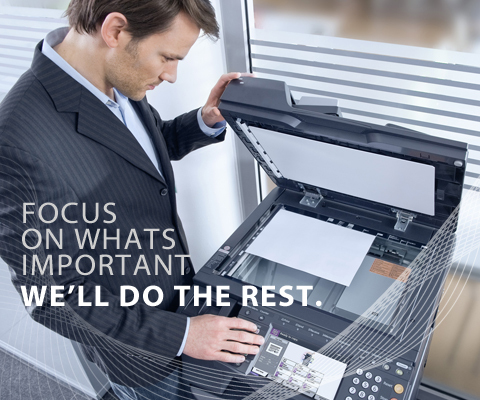 Interested in how we can help you optimize your business printing and communication solutions? Get in touch, browse our product catalog, or learn more about our managed print services. Need support or maintenance for a machine? Use our Support Form to get in touch with a Coker Business Systems representative-- we will contact you as soon as possible.